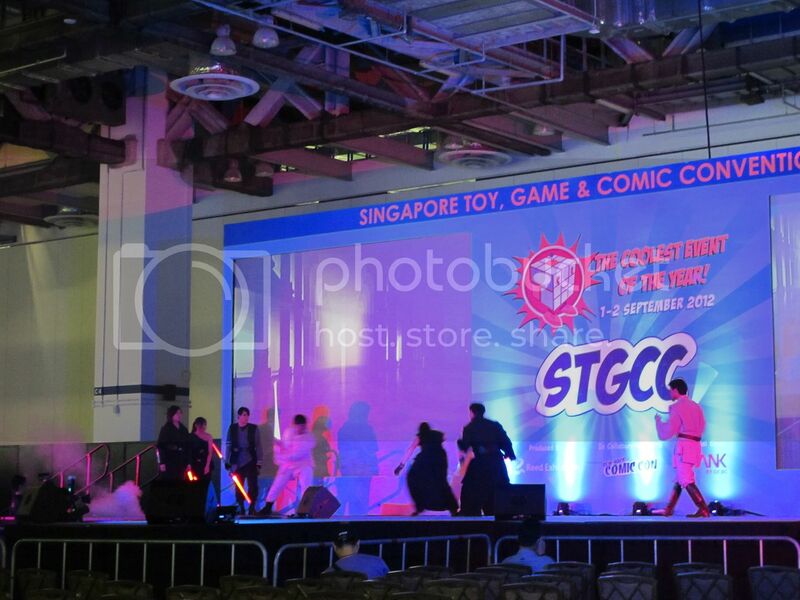 As everyone of you knows, STGCC was last weekend and ladies and gentlemen may I say it was a blast. 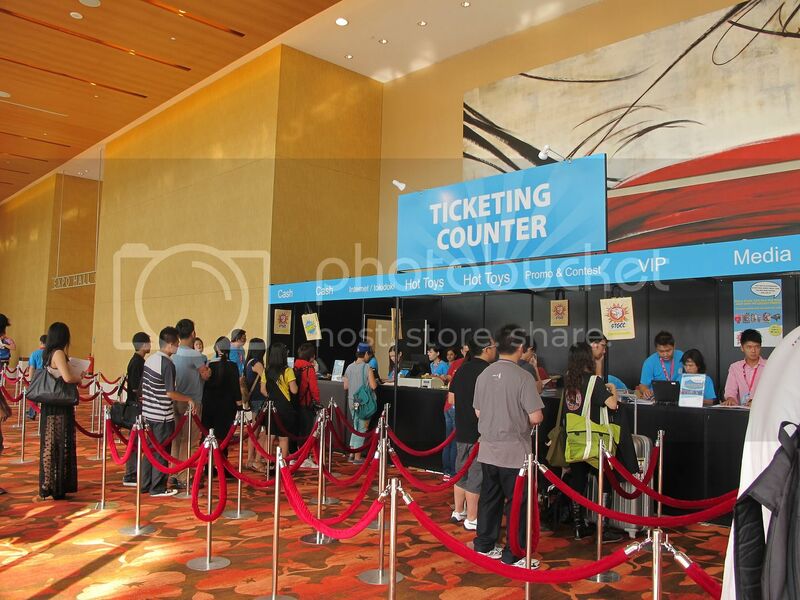 The general setup seemed to be a step-up from the previous year, appearing to attract both more co-ops and on larger scales; an immediate indication that STGCC is gaining more experience and recognition as a large scale local event. Click on the jump. You know you want to. 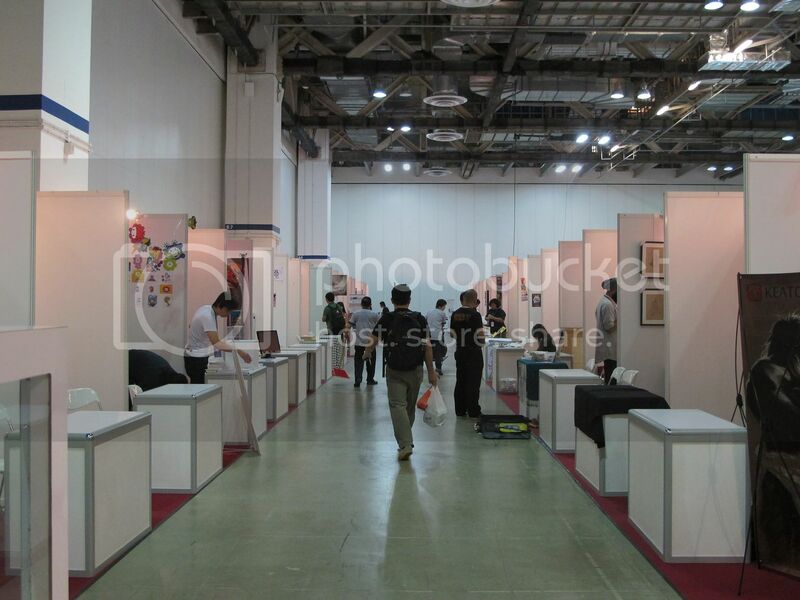 As usual, this year's STGCC boasts a proud display of stunning art and talent. Booths lining the hall are packed with artists, their irresistable merchandise, and eager buyers. This was, of course, before the actual setup wwww. A bit of a nostalgia moment here. Being something of an artist myself I don't know if I'm more envious and awe-struck by their talent, or just hating my last minute decision to leave my money at home~ Ended up digging into the Harry Potter exhibition funds that I saved for later >w>/ But the artists' booths were just too much!! One of my personal best buys: Eco bags with BEAUTIFUL prints from Kidchan's booth! Cheap and beautiful~ More on that in our follow-up interviews to be posted later, so stay tuned! Another interesting booth was not so much an artists' booth, but a games developer! Other VAS members and myself chanced upon them, Gamersaurus. There was a quick and engaging demonstration; it seemed like the kind of game that could be suitable for players of any level, beginners and Ph.Ds in psychology alike! Backhand tactics and calculative manipulation could easily be woven in to make the game as intense or casual as you please! Oh, just on a side note; we bought a set, so maybe come down to our annual chalet and give a crack at it yourself? 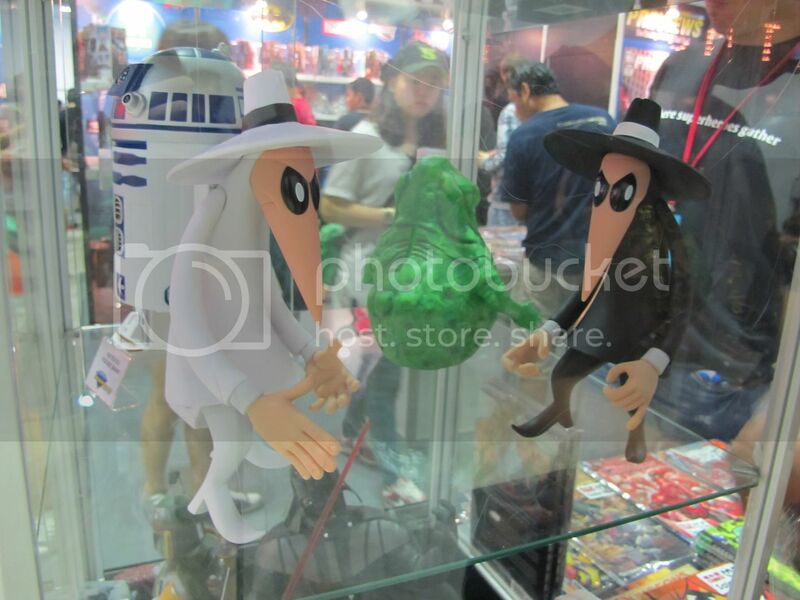 ;) There are of course the compulsory big names like Hot Toys with their uhm... Engaging, setup and epic crowds, Tokidoki with their usual wall-to-wall backdrops and Bon Japan, whose booth simply must be crowned the best location layout for the event. However in general there just seems to be a lot of Justice League spammage on all fronts, be it prints sold at artist booths or the completly badass figurines displayed at Hot Toys. Squeal minions, this close-up is for you. SECOND TO LEFT, atta girl!! Cosplayers. Let me tell you about the cosplayers. 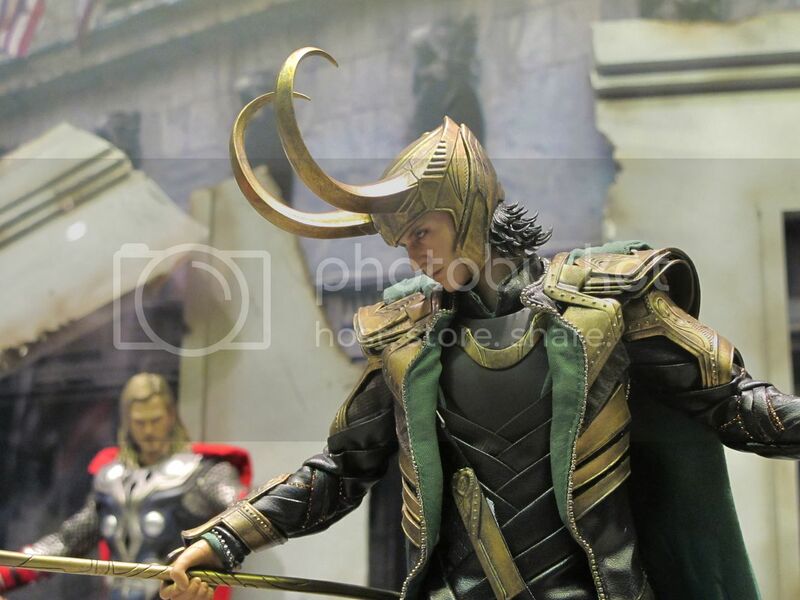 For some mysterious reason, probably similar to the one that caused the massive overload of Justice League spammage in the general layout, there were also a mass of DC Marvel cosplayers, including an army of 7 Lokis. Touhou cosplayers as usual, Kuroko no Basuke to keep up on the Japanese anime front, and a scattered few fandoms here and there. Notably, there were also a number of cosplayers doing gijinkas from Lauren Faust's animated series My Little Pony... Of which I am also a convicted member. 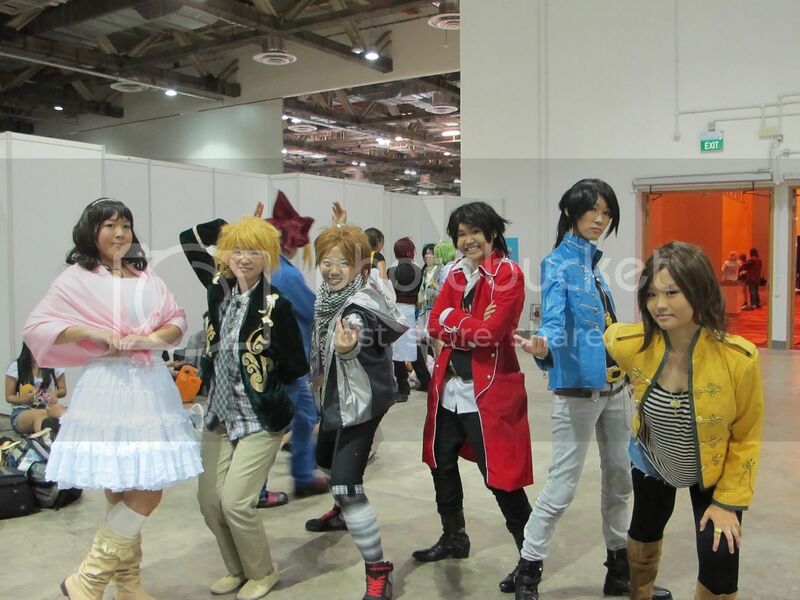 Our very own group of Gokaiger cosplayers also debuted their full team of 6 at this event, don't they look precious? Mabe's OOC spazz face. Like I said, precious. All in all STGCC this year was definitely a bigger and grander experience compared to past years; as a ticketed event, they have always placed emphasis on bringing to us a quality event, and this year's performance in terms of guests, layout, location and accommodation has definitely been punched up a notch ;) Very good job STGCC, we'll be looking forward to next year! !